I assumed that since I have nice handwriting and cursive that brush-lettering would be a breeze. Boy was I wrong. My first attempt was like a slap in the face with a Bright Pack of Tombows! Where other people had thin lines I had fat and where they had fat I had thin. I just did not understand why it was so hard! So I gave up. 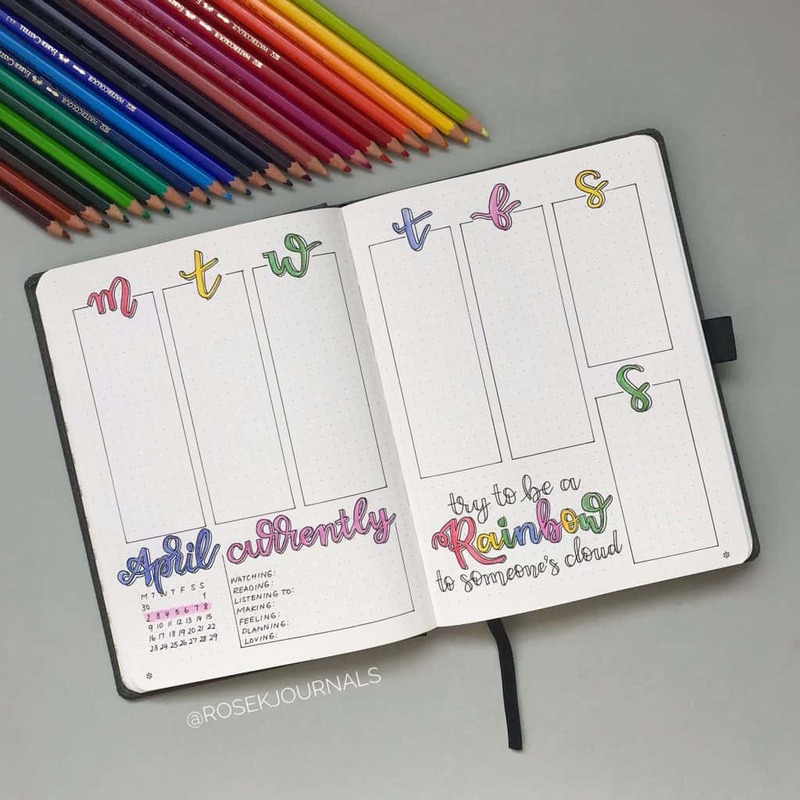 I went back to how I created brush-lettering in my bullet journal. But just because you can’t master a brush pen doesn’t mean you can’t have brush-lettering in your bullet journal. 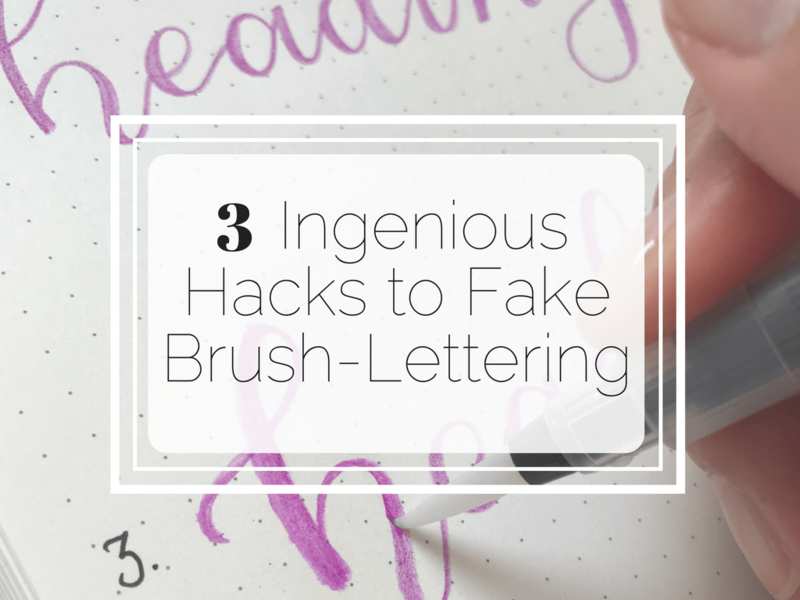 I’m going to show you three ingenious hacks on how you can fake it till you make it! With a standard pen, any pen will do (here I’ve used a Muji gel Ink Pen), start by creating a heading in cursive. Make sure your letters are fairly spread out, not squished together. 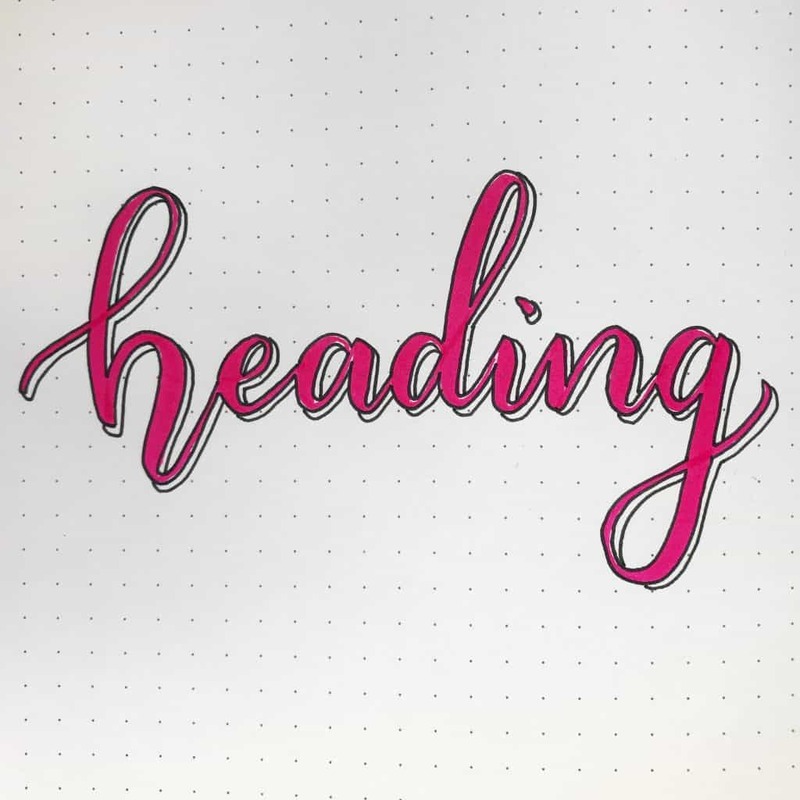 Now for every down-stroke you created in your heading, add a parallel line next to it. Close off the parallel lines, and fill in with your pen. And you are done! 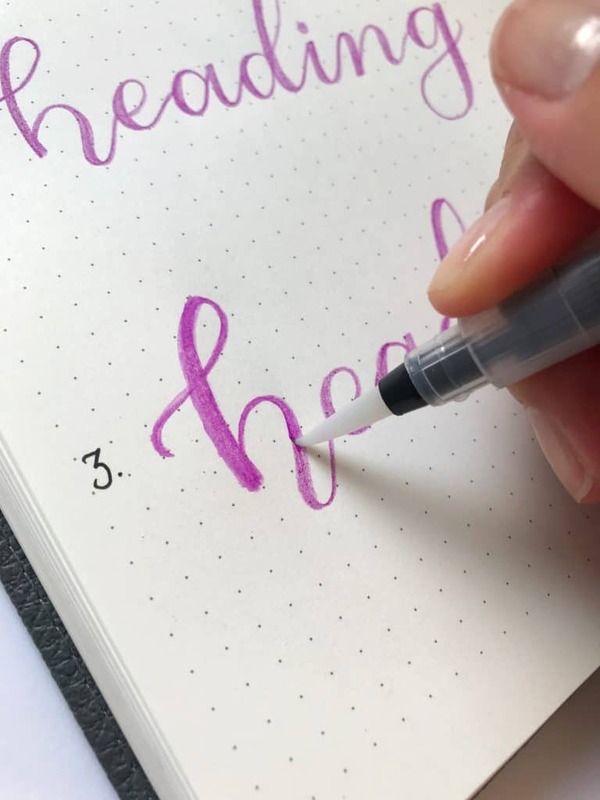 As in technique no 1, create a heading in cursive with your pen. However, whatever pen you use make sure you have a brush pen in a matching colour. Using your matching brush pen (I’ve used a Pentel Sign Touch Pen), add a thick line for every down-stroke that you created in your heading. Only two steps and you’re done! Now for the last and best trick of all! If you love the look of brush lettering with watercolour paints, then you are going to love this! 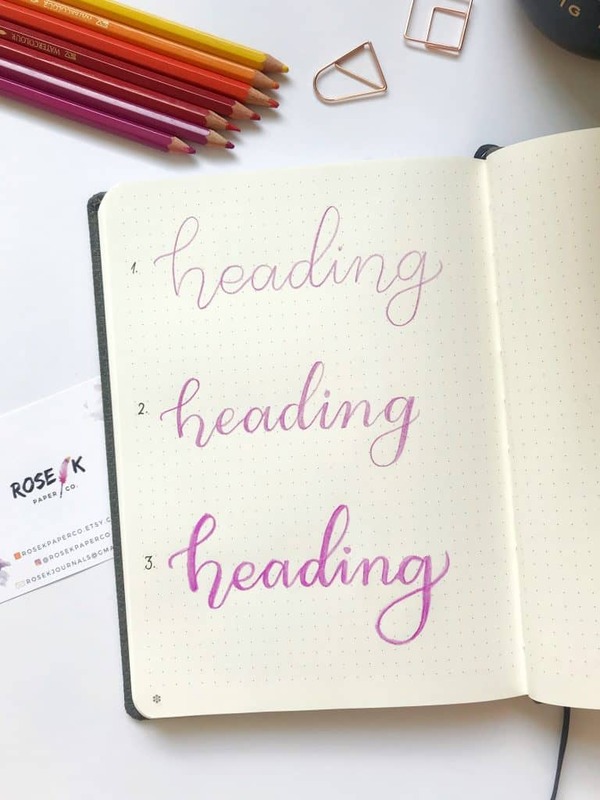 Using a watercolour pencil, create your heading in cursive. As in the first technique, thicken your down strokes by adding parallel lines and colouring in. Using a wet brush, paint over what you have created. This will turn your coloured pencil into watercolour and give a water-coloured brush-lettering effect. 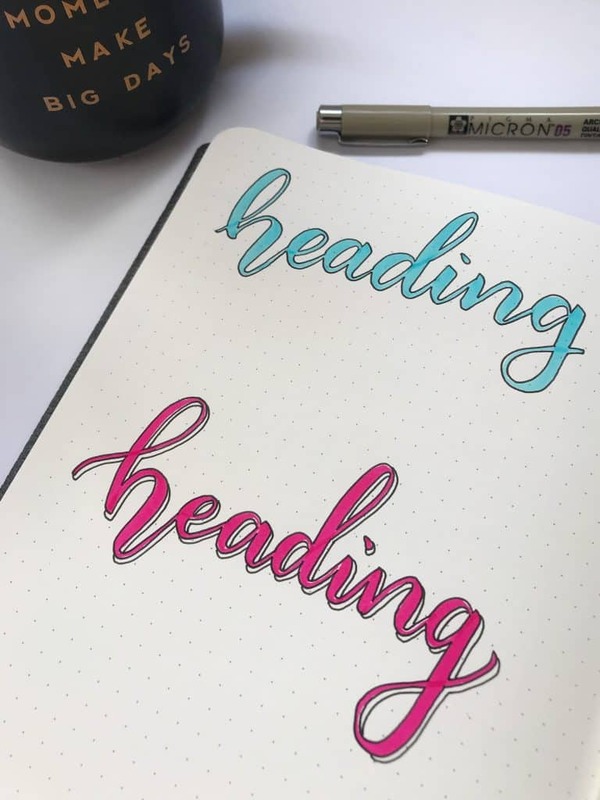 Dont worry if it’s a bit messy, this makes it look more like you really did create your heading using watercolour paints and a brush! 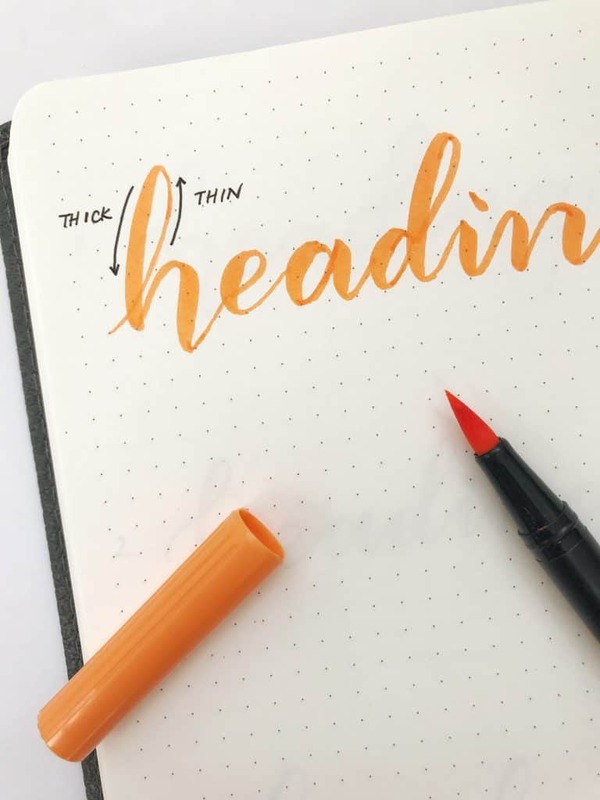 Using a dark or contrasting coloured pen (here I’ve used a black Muji Gel Pen), trace around your lettering to make it bolder. You can leave it at that. This makes a great heading style in itself. 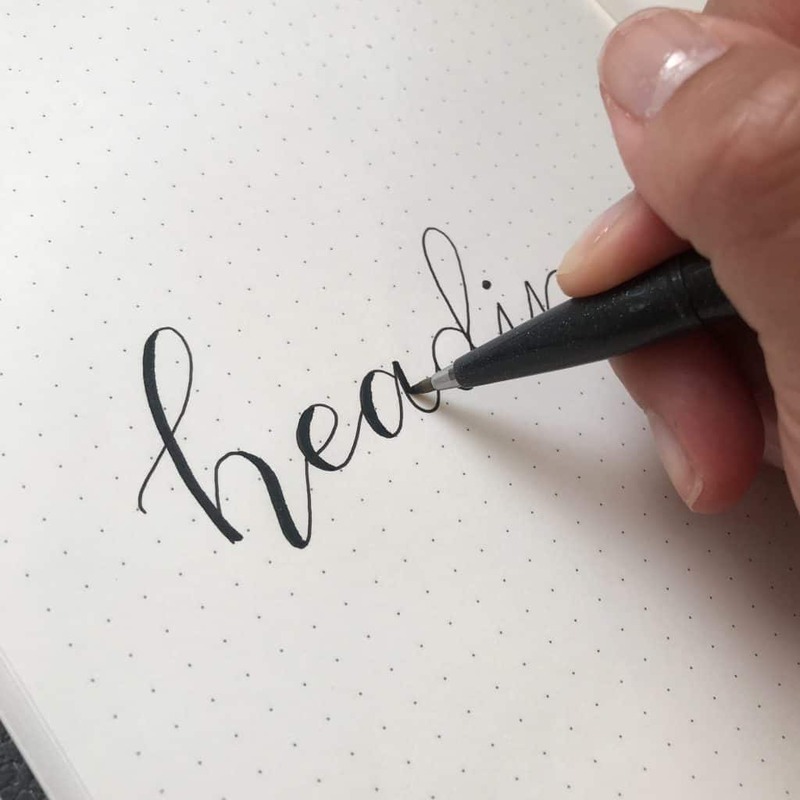 With the same pen as above, create parallel lines below and to the right of your lettering. 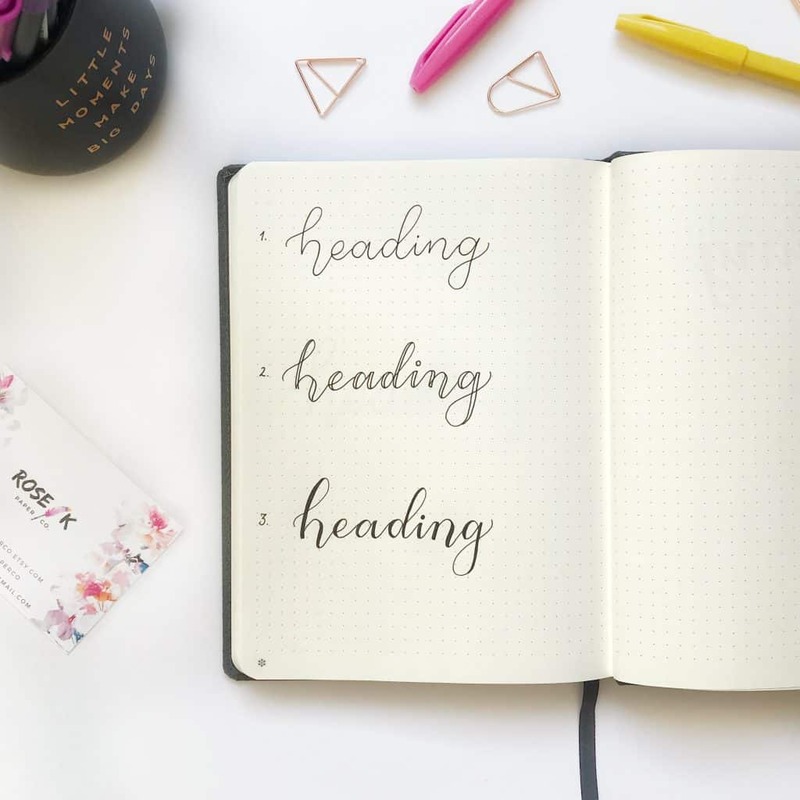 You are trying to mimic the shadow that would exist if you were to shine a light on your work from the top left hand corner of your page. You can either leave this dropshadow as is, or colour in with a contrasting colour. I hope you found this article useful. If there’s anything else you want to know or learn, just send me an email, I always respond! Thank you for some truly “easy” ideas. Thanks so much! I hope you have luck trying them out! Thank you so much for sharing this! It’s so beautiful and I’m only just starting to learn and give brushlettering a try and I’m excited to try out your tips! So helpful, thank You! You’re very welcome! I hope you enjoy trying out the tips!! Thank you Rose! I have been trying for many years to achieve, I still have a problem getting my “M” to look right/good. But no doubt practice makes perfect or better at least. Thank you for your making your tutorial so easy to follow. Hi! Thank you so much for your comment! I’m glad you found this tutorial easy to follow, and I’m so pleased to have been able to help you! And yes, practice practice practice! Hi Ferna! Thanks so much for your lovely comment and thank you for following me! I hope you find lots of inspiration here!